Two sold-out races this Fall offer bib transfers through late August. Transferring bibs, rather than running under another person’s name, assures the correct information is available for each runner in the event of emergency and help maintain accuracy in race results. Runners who are caught running under another name or allowing another runner to use his or her bib may be banned from legitimate registration in the future. The Army Ten-Miler’s transfer period is open through Aug. 21. It costs $25 and the race maintains a message board for buyers and sellers to connect. More information is available here. The Marine Corps Marathon is accepting transfers for the marathon and 10k through Aug. 31. The transfer will cost $50. Buyers and sellers can find each other on the race’s Facebook page. More information is available here. 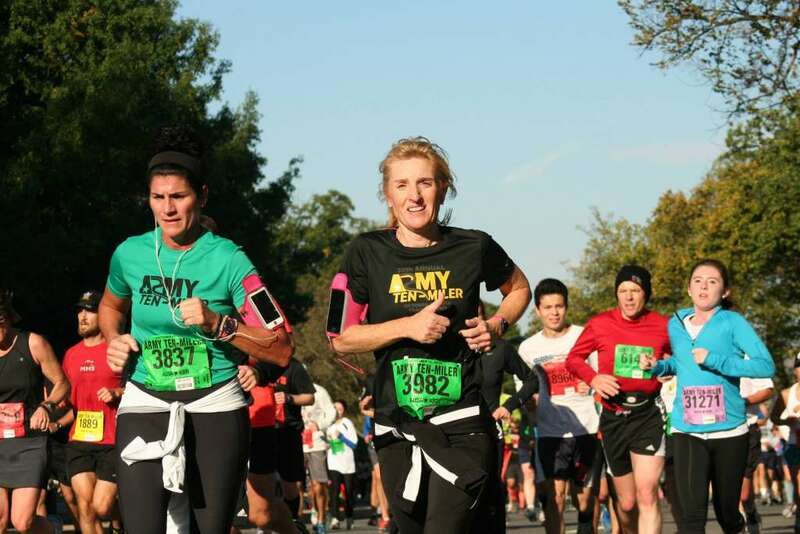 The Army Ten-Miler is offering a lottery for 500 additional entries to the Oct. 11 race. Registration will run June 22-26 and entrants will be notified between July 1-3. More information is available here. The merger between Pepco and Exelon will mean new trail access in Montgomery County. Bethesda Magazine reports Pepco will help plan and pay for a pedestrian trail between Bethesda and Dickerson. The county named the trail as one of its conditions in the settlement with the two companies.